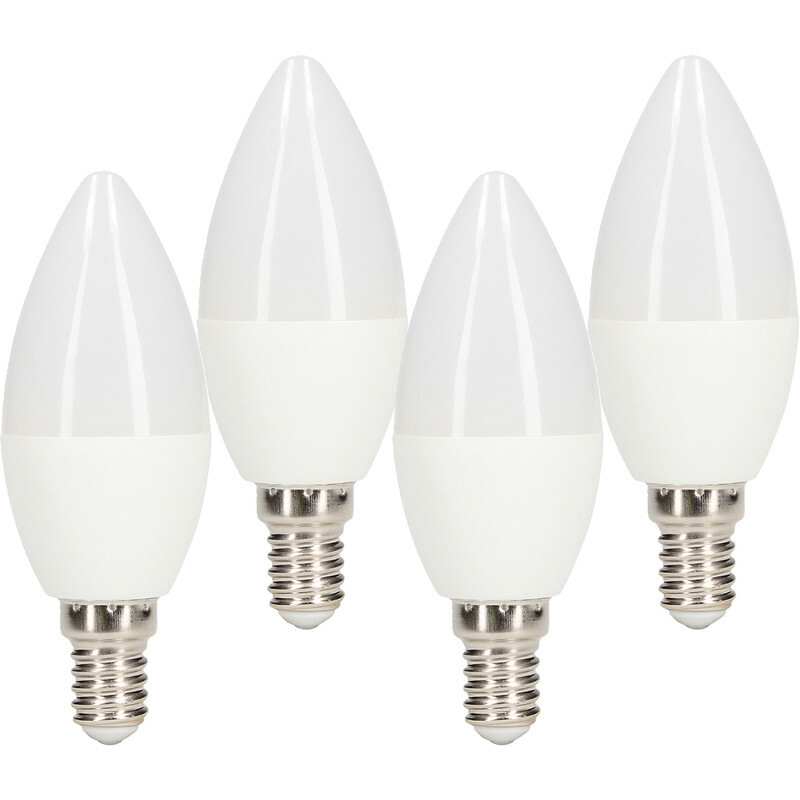 LED Frosted Dimmable Candle Lamp 5.5W SES 470lm (4 Pack) is rated 3.0 out of 5 by 2. Rated 1 out of 5 by danecarpentry from absolute rubbish these lights do not dim on any device complete wast of money . changed these over to halogen and they worked perfectly . Rated 5 out of 5 by Babu from Right type of lighting for the living room. These are frosted LED lamps, suited in the living room, soothing to eyes. The other advantage is they are dimmable, but I have not used the dimmer switch yet, because I am not sure of what type of dimmer switch is needed for these lamps.